I am just finishing up a new biography on one of the most beloved prophet-hearted teachers in American history. It’s entitled A Passion for God: The Spiritual Journey of A.W. Tozer, written by Lyle Dorsett. I have long loved Tozer’s writings and messages. For over a decade I’ve relished in his insights and fed off of his knowledge of God, and the intensity of his worshipping heart. I’ve read some of the other bio’s on A.W., but this biography is a real gem, and I’m commending it to all of the pastors and laborers in our fellowship here in Kansas City. It tells of his formation as a man of prayer and incessant worship. It tells of the trials he endured and the stretchings he experienced. It inspires us to forsake a vain pursuit of ministry-breadth, and calls us back to the pursuit of depth in the secret place. Tozer’s relentless longing for the presence and person of God grabs us by the collar of our professional or subjective ideas on ministry, and plops us down in the dust on the backside of the desert. Before long we see the glow of the bush again, and remember why and how we ever put our sandals back on and proceeded to face the people. I am jolted again. This man labored for 4-plus decades- contending for the faith, reaching out to souls in darkness, setting aright faddish movements and faulty doctrines. Most of all, every soul that was remotely close to A.W. Tozer knew that there were at least 5 hours a day where he was intently removed from all contact with anyone other that the God of Majesty. He knew what it was to behold the uncreated One, to love Him, to listen to Him, to gaze upon Him with delightful and sometimes awe-full attentiveness. He didn’t need adrenalin, entertainment, or programmatic pick-me-ups to bear up his walk with the Lord. He had what Moses had…what David had…what the prophets had…what Paul had. He had a singleness of heart in pursuit after the God of Israel, and he was not willing for anything to stand in the way of that impassioned vision. I wonder how far we have fallen from this kind of Davidic intensity. Still, there is another stinging thing in the story of A.W. Tozer. Many believers who have been profoundly affected by his teachings are unaware of the manner of his life at home, and even the manner of his death. He died in a Canadian hospital room in the year of 1963. He was all by himself. He was alone in his death as he was in his life. Indeed, this is true. When we cling to the Lord in this life, there will be great opposition and trial. But mere loneliness is not a sign of prophetism, and isolation from family and friends is not necessarily a hallmark of an eternity-centered life. We were created for community. As Gordon Fee points out, the idea of salvation in the mind of Paul was never primarily a thought toward whether an individual person would be able to make it to heaven or not. Salvation, in the hebraic mind of the early apostles, was a picture of God’s Kingdom breaking into a society and wrenching loose a group of souls from the spirit of this age, that they might be formed and fashioned together by the power of the Spirit into a Body that expresses the very nature of Christ. In other words, we need Christ (! ), but we are not likely to experience Him fully if we don’t also experience Him through our experiences in family life and church life. Life is a fragile thing. “Man is but a mere breath,” the psalmist declares (Psm. 144.4a). I wept on numerous occasions in the reading of Tozer’s biography. For the first time I saw areas of his life that I had never seen before. Gaping holes. Perhaps he was oblivious to them. Perhaps his engagement with ministry travels, reading, writing, preaching, and the remarkable amount of time he spent in “speechless adoration” of Christ filled his plate to the extent that he was incapable of figuring in other necessary Kingdom responsibilities and privileges. The most heart-wrenching of these blind-spots was his inability, over the course of 40-plus years, to connect relationally with his wife Ada and their 7 children. He also struggled with connecting relationally to the vast majority of the saints who were under his care for all of those decades. They say that he and Ada never fought or argued (as best as we know), nor was there ever a known issue of infidelity or abuse. There was simply this radical, unexplainable inability to relate with his wife and kids to the extent that he would be a presence in their lives. He would be drawn to them as long as they were babies, but when it got past that, he struggled to father them. The story goes that his father was a hardworking farm-man who was quite non-relational himself. I would assume that this passed to his sons and daughters, and it certainly seems that way with A.W. When Tozer died, though Ada had scarcely (if ever) complained about their distant relationship, she made several things clear. Both she and the children (all adults by the time of his death) were in agreement that they knew very little about this man whose teachings and writings have sent waves of revelation through many hungry hearts. This, to me, is a tragedy of tragedies. It is not enough to say that “a prophet is not without honor except in his own town.” (Mt. 13.57) Too long have preachers been presumptuously putting themselves in the sandals of Jesus, and blaming the unhealthy condition of their families on the requirements of ministry. We are not Jesus, friends. Most of us have spouses. Most of us have children. What shall they declare at our funerals? What will our children leave with when they move on into adulthood? I was told that after A.W. died, Ada was asked if she missed him. She had been re-married by this time. Her reply was tragic to me. She said something like this: “A.W. was God’s man, but my new husband is my man.” Oh, that it would not be said of us! May we be wholly given to Him, and to those whom He has given us. I set the book down, and played catch with my son. I do tremble, friends. I tremble at the busyness of our American ways. I tremble at the awesome responsibility and privilege of raising these boys and girls. I weep over the fact that it is so easy for us to be engaged in ourselves- even religiously– to the neglect of our spouses, or children, or congregation members, or unbelieving neighbors. 18 or 20 years is all we have with our children. What shall they take from us? Will they feel like it was a mere obligation for us to feed them and care for them? Will they feel like we really didn’t want them around? Will they feel like all of our talk about the nature of God was mere flourish or rhetoric? Will they feel that they are valued and cherished? Will they have been fathered? mothered? Or just raised? I believe that God desires to give us wisdom and love enough to be a literal representation of Himself in the home. We will certainly miss the mark here and there, but He will enable us to actively engage them with a whole heart. To hear them, for real. To speak into them, for real. To love them, for real. That’s fathering and mothering, and it’s an awesome privilege available to us all. The great revivalist Leonard Ravenhill, who was in many ways mentored by Tozer, used to say that you can’t catch up your prayer life when you get to the judgment seat of Christ. I certainly agree, and he was a man to back up his talk with a real value for prayer and intercession. I’d like to acknowledge another cut in this fine diamond of discipleship. We can’t catch up our parenting, or the way we treated our spouses, or the depth of our humility toward others at the judgment seat either. We have one shot, saints. It will be a journey, and we will all trip up and fall in one way or another along the way. But abandoning ship is not an option. We’ve got to face our spouses, face our children, face our congregations, knowing that we’ve got “one shot” with all of them. I want to burn with a passion for God like Tozer did. I want to know the long seasons of adoration, awe, and intercession. I want to stand as a pillar in the household of faith. I want to exalt Christ and cling to the cross, fixing my eyes on Him while the latest fads rise and fall. I also want to love and tremble toward those who are closest and most familiar to me. We all have those who are most familiar…spouses, children, parents, neighbors, fellow believers. I want to see a generation of preachers raised up who are aware of the mercies of God, are immersed in His love, and who walk with a “one shot” consciousness. They look at each person with a radical value, a Spirit-dependent outlook. They make priority for prayer and scripture as Tozer did, while stretching out the tent of time and relationship for those whom the Lord has given them. Every occasion is another “shot.” Every conversation with the wife…”one shot.” Every seemingly irrelevant question from a child…”one shot.” Every interaction with an unbeliever…”one shot.” Every time of secret prayer and scripture reading…”one shot.” Every opportunity to father our sons and daughters…”one shot.” The self-absorbed are distracted, double-minded and cowardly. But the true servant of the Lord sees the “one shot” and takes it, while others are passing by as the proverbial stranger in a rush-hour traffic jam. May our eyes be opened to see that every occasion is another shot at learning and dispensing the very love of Christ. That phrase “to turn the hearts of the fathers to the children” is very interesting. Who is there among us that doesn’t desire, deep within ourselves, to have our fathers, both spiritual and natural, “turn their hearts” toward us. There is something very intentional and vulnerable in those words, that goes beyond simply doing what is required of us. Bryan, great article on Tozer. You know I have noticed this relational disconnect phenomenon on other prophetic men of God. Obviously this is not the truth in every case, but it is strange to see the similarities in other ministers lives. I was shocked to read about what his wife said of him after he died, this is tragic. We talked about this last night at my house with some dear friends. I guess the general consensus was that we want to be what was great about these men and NOT be what was apparently disfunctional about them. Reading this article really made me look even more intensely at my wife and kids and I want more than ever for them to really love me and know that I adore them with all my heart, as far as things of this earth go. This biography reminds me of the scripture that says, “these things were written as examples for our sakes”. I want to learn from this. Wonderful article, son. I am very proud of you. What a blessing it is to know how much you love the Lord, your wife and children!! May our lives glorify the Lamb Who was slain! Thanks for this well written and insightful article. You bring a perspective on what we should aspire to as men of God that is much needed today. Blessings on you. Keep writing. Wow. 400 sermons of Tozer. What a treasure. Thank you Bryan for the wonderful exhortation to be more sensitive to the responsibilities we all have as Christians to our fellow man, most especially our families, the household of faith, and mankind. The Christian does not feel like he/she is owed anything by anyone, yet the Christian fells like he/she owes everyone almost everything. It is a lonely road this path of righteousness; it’s lonely because few find it and possibly even fewer walk (practice) on it. Tozer is a lovely saint that God blessed the earth and all in it with, and we have faithful men of God just as he was, even now. One certainly can see the lack of real intimacy that he had with his family, yet I wonder whether if they each shared the passion that he had for Jesus Christ, they wouldn’t have been much closer. I don’t know, but I think close relationship with our family is to be valued. But never should any of these rival/equal that which we have with God. For I truly believe, and this is taught and shown ALL throughout the Holy Scriptures, that any man who desires to be intimate with God will undoubtedly experience a similar kind of disconnect. If I am thought to be wrong one this, anyone may search the bible on this and see that it is true. God bless you and continue to use you as you submit yourself to Him in worship and love, I look forward to reading the bio on Mr. Tozer. Ur worse than I am. lol. I probably have about 112 or so. Care to share? I think once you read the entire bio you’ll see that there is a disconnect that results from wholeheartedly following the Lord, but that it’s possible to allow that disconnect to become something the Lord never intended; particularly in the area of family. Grace to you as you wholeheartedly give yourself to the Lord, and to those whom He has given you in the realm of life. 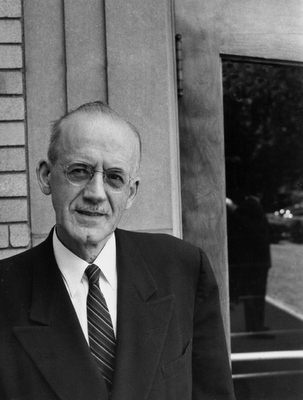 I happened upon your article today as I was gathering information on A. W. Tozer. I was truly moved by your plea to parents and others to take this “one shot” we are given at life and make this best use of it. It brought to my mind both regret for the moments I have lost… the “could have beens” and yet, at the end of your precious writing, you encouraged me and left me with anticipation and excitement…there are so many opportunites left, all is not lost in the least! The opportunities are myriad! My husband and I teach a parenting class in our church; could we use some quotations from your article to encourage our parents? Thank you, Bryan! Happy to hear your heart on this! I’m glad this article came to my attention. This article is absolute beauty and truth. At once it is both a stinging indictment and encouragement. For a long time I wanted to have a ministry, to do “mighty things for the Lord”. Then He woke me up to the fact that I have a wife and children, and –HELLO-…they are my ministry. That was a few years back, and now we have six. Let me tell you, (and I’m sure you can relate Bryan!) they are a full time (and then some) ministry! I always thought it was sad that so many of the leaders in the Body have family lives that are wrecks. This is why, they neglect their first -and probably most important- ministry! This article, while published a while ago, comes to me once again at the perfect time. Thank you Lord. Thank you Bryan. Only one shot. So much at stake. Lord, help me get this right. Amen, Justin. May the Lord give us grace and wisdom to rightly steward that which He has given us! Most of the world’s great souls have been lonely. Loneliness seems to be one price the saint must pay for his saintliness. In the morning of the world (or should we say, in that strange darkness that came soon after the dawn of man’s creation), that pious soul, Enoch, walked with God and was not, for God took him; and while it is not stated in so many words, a fair inference is that Enoch walked a path quite apart from his contemporaries. Again, Abraham had Sarah and Lot, as well as many servants and herdsmen, but who can read his story and the apostolic comment upon it without sensing instantly that he was a man “whose soul was alike a star and dwelt apart”? As far as we know not one word did God ever speak to him in the company of men. Face down he communed with his God, and the innate dignity of the man forbade that he assume this posture in the presence of others. How sweet and solemn was the scene that night of the sacrifice when he saw the lamps of fire moving between the pieces of offering. There, alone with a horror of great darkness upon him, he heard the voice of God and knew that he was a man marked for divine favor. Moses also was a man apart. While yet attached to the court of Pharaoh he took long walks alone, and during one of these walks while far removed from the crowds he saw an Egyptian and a Hebrew fighting and came to the rescue of his countryman. After the resultant break with Egypt he dwelt in almost complete seclusion in the desert. There, while he watched his sheep alone, the wonder of the burning bush appeared to him, and later on the peak of Sinai he crouched alone to gaze in fascinated awe at the Presence, partly hidden, partly disclosed, within the cloud and fire. Most revealing of all is the sight of that One of whom Moses and all the prophets did write, treading His lonely way to the cross. His deep loneliness was unrelieved by the presence of the multitudes. The suffering Savior prays alone. He died alone in the darkness hidden from the sight of mortal man and no one saw Him when He arose triumphant and walked out of the tomb, though many saw Him afterward and bore witness to what they saw. There are some things too sacred for any eye but God’s to look upon. The curiosity, the clamor, the well-meant but blundering effort to help can only hinder the waiting soul and make unlikely if not impossible the communication of the secret message of God to the worshiping heart. The pain of loneliness arises from the constitution of our nature. God made us for each other. The desire for human companionship is completely natural and right. The loneliness of the Christian results from his walk with God in an ungodly world, a walk that must often take him away from the fellowship of good Christians as well as from that of the unregenerate world. His God-given instincts cry out for companionship with others of his kind, others who can understand his longings, his aspirations, his absorption in the love of Christ; and because within his circle of friends there are so few who share inner experiences, he is forced to walk alone. The unsatisfied longings of the prophets for human understanding caused them to cry out in their complaint, and even our Lord Himself suffered in the same way. The truly spiritual man is indeed something of an oddity. He lives not for himself but to promote the interests of Another. He seeks to persuade people to give all to his Lord and asks no portion or share for himself. He delights not to be honored but to see his Savior glorified in the eyes of men. His joy is to see his Lord promoted and himself neglected. He finds few who care to talk about that which is the supreme object of his interest, so he is often silent and preoccupied in the midst of noisy religious shoptalk. For this he earns the reputation of being dull and over serious, so he is avoided and the gulf between him and society widens. He searches for friends upon whose garments he can detect the smell of myrrh and aloes and cassia out of the ivory palaces, and finding few or none, he, like Mary of old, keeps these things in his heart. It is this very loneliness that throws him back upon God. “When my father and my mother forsake me, then the Lord will take me up.” His inability to find human companionship drives him to seek in God what he can find nowhere else. He learns in inner solitude what he could not have learned in the crowd – that Christ is All in All, that He is made unto us wisdom, righteousness, sanctification and redemption, that in Him we have and possess life’s summum bonum. The second thing is that the lonely saint is not the withdrawn man who hardens himself against human suffering and spends his days contemplating the heavens. Just the opposite is true. His loneliness makes him sympathetic to the approach of the broken hearted and the fallen and the sin-bruised. Because he is detached from the world, he is all the more able to help it. Meister Eckhart taught his followers that if they should find themselves in prayer and happen to remember that a poor widow needed food, they should break off the prayer instantly and go care for the widow. “God will not suffer you to lose anything by it,” he told them. “You can take up again in prayer where you left off and the Lord will make it up to you.” This is typical of the great mystics and masters of the interior life from Paul to the present day. I would say that the general tone of the Church is far too frivolous, far too removed from the secret place. But I think your response is disconcerting in a few ways. First, the prophets of the OT were unique men, proclaiming the word of the Lord to a mostly backslidden people. This could be said of men like Tozer, in that the Church in his generation was in a disparaging condition. The difference is, the prophets of old (along with the societies they spoke to) did not have the same vision of community which has been given to us in the apostolic Gospel. We site the loneliness of Jesus, and He was basically alone in His death. But even the Son of God handpicked a dozen men with whom He would spend the vast majority of His time for the last 3 1/2 years of His earthly sojourn. I think your disposition may be rising from an inadequate understanding of the need for one another in the Body, and an inadequate understanding of the stewardship that spouses and parents have been given in the reality of family. If I were a single man, my calling relationally would be to the saints the Lord has put in my life, and the unbelievers to whom He has sent me as a witness. So loneliness is not a sure sign of true godliness, anymore than reading books about prayer makes me a man of prayer. There is a difference between valuing and rightly stewarding the people the Lord has placed in our lives, and being moved by “God-given instincts that cry out for companionship with others of his kind.” That is itself what makes the Church the Church. That a collection of souls have been put together in the wisdom of God, and that they come from different backgrounds, they have varying interpretations of the Scriptures, they have different hobbies and preferences, and many of them get under each other’s skin! And out of that melting pot of difference, and often tension, the Lord means to raise up a community that will come into such a union with Himself, that His fulness would be exemplified through it. Community is one of the God-ordained means by which we experience purging, and by which we learn to depend on supernatural love. Indeed, there is a woeful lack of the pilgrim mentality, and there is a radical need for the recovery of the secret place in the lives of the saints. But for the New Covenant believer, mysticism and hermitage can become a cop-out, a spiritualized attempt at getting away from the very souls the Lord means to use for our refinement and perfection. Rather than only accepting them when they were convenient to His spiritual enlargement, He recognized a call from the Father to identify with them in their immaturity, weakness, and sometimes, outright stupidity. Jesus exemplified the reality of the Father’s desire for true community among His saints, yet maintained a perfect priestliness throughout, never once breaking His communion with the Father. He was replenished in the secret place, and He abided with the Father in the public place. Meister Eckhart taught his followers that if they should find themselves in prayer and happen to remember that a poor widow needed food, they should break off the prayer instantly and go care for the widow. “God will not suffer you to lose anything by it,” he told them. “You can take up again in prayer where you left off and the Lord will make it up to you.” This is typical of the great mystics and masters of the interior life from Paul to the present day. Next, Paul is used in comparison with the “mystics and masters of the interior life” in all generations. Yet Paul was the great father of koinonia (fellowship), planting and nurturing Christian communities throughout Asia Minor and abroad. Paul was eager to be among the saints at all times, was intensely engaged in interaction with unbelievers of all sorts, but also encouraged the saints to “pray without ceasing.” A plain reading of nearly every epistle tells us that there were major issues with almost every community of saints that he had planted and nurtured. Worthy of mention also, is that he always desired to travel with at least one other brother. Was it because he needed a bodyguard? I don’t think Paul was afraid of any danger. He must have longed for co-laborers in the Gospel, for true fellowship along the way, and for accountability and companionship. Far be it from me to assume that the mystics were more spiritual than the apostle Paul! Was Paul missing something that the mystics recovered? Or did he see the maturation (over the course of years) of different fellowships (however immature they were) as the very reality for which Jesus died? The apostolic imperatives in community (“Confess your faults one to another…”, “Pray for one another…”, “bear one another’s burdens…”, etc.) would be vain and worthless if it weren’t for the Church’s responsibility, calling, and privilege to share in the new life of Christ together. So I am not speaking merely of our human need for companionship, but a stewardship we have in one another! All saints are called to be an expression of Christ to fellow believers, and a faithful witness to those walking in darkness. You cannot do that without meeting the Lord often and deeply in the secret place, but you cannot do that as a mere hermit who comes out of the cave on occasion to give food to the poor either. The apostolic perspective and passion is for a corporate people to come into the fulness of Jesus Christ as a body. I’m in harmony with you regarding the fact that the saints are too at home in the world. You can read my other articles (on this site), and hear the principle burdens of my spoken messages (www.tentofdavidkc.org), and you will see that this is true. But you cannot equate the call to fellowship and witness, or the call for true relationship in marriage or parenting with the “effort to achieve restful “adjustment” to unregenerate society.” I agree that the ‘pilgrim’ mentality has been largely lost, but even the pilgrims who went up to the house of the Lord in David’s time (for which reason the “Psalms of Ascent” were written and sung), were experiencing the Law and the ways of Yahweh together. They were pilgrims on a pilgrimage, but they journeyed together. God brought Israel out of Egypt, not just Moses. This indicates both His covenant faithfulness, as well as His desire to raise up a NATION of priests, a community of true faith. These examples are much more in keeping with the vision of the apostles for a corporate entity they called the Church, who would find justification in Christ, and learn in a progressive way by the work of the Spirit, alongside others who are on the same journey, to abide in Him individually and as a spiritual family. The handpicking of Abraham, Moses, Jeremiah, and others who mostly suffered alone in their obedience was not the preference of the Lord, but rather what He was constrained to resort to, since the people were not willing to hear His voice. There will be loneliness when we pursue the Lord with a whole heart, and some of it is orchestrated by Him. I would say that the great need is for the recovery of the place of prayer, and a new immersion in the Scriptures. But the Lord does not mean for fathers to neglect their children and wives, for saints to neglect the believers the Lord has set them in the midst of, nor for a generation perishing in sin to go without the presence of faithful and true witnesses. Jesus and Paul ought to be our prime examples in this tension. They had glorious lives of prayer in secret, but were faithful to the point of death for the souls the Lord had placed in their hands. May our lives sum up the Law and Prophets. May we love the Lord God with all of our being, and our neighbors as ourselves. Thank you Bryan for reading that piece. None of those words were mine. In short, all I would have to say in addition to all you have drawn out is that the church in THIS day is in a disparaging condition. Being a man set apart and of sorrows in your walk with the Lord is not a bad thing I believe; and in all the english spoken…ours is simply to please God. Every one of those words belonged to Mr. Tozer. I think that he lived to please God. By the time I finished reading your post, I realized that I had read it somewhere before. And again, in large part I am in harmony with what he wrote. I have always loved Tozer, and I believe that when we stand before the Lord, he will be one of those precious souls who “shine brightly like the brightness of the expanse of heaven.” Yet as glorious as the example of Tozer’s life was, the pattern of Jesus’ life must be exalted above all. I myself often feel like “a man set apart” with “sorrows” in my walk with the Lord, and I am convinced that the church is in a disparaging condition in most places. Yet and still, this does not absolve us from the responsibility and stewardship (not to mention privilege) we have to our spouses and children (if married), and to the saints the Lord has placed us in the midst of; nor does it absolve us of the calling we have to lay our lives down for the Church at large, no matter how disparaging her condition is. My children will leave me one day, and I will give an account to the Lord for the 18-20 years I had with them. If I was not a man of the secret place, it will be detrimental to their souls. But if I do not relate to them, father them, and pour into them, much of my prayer could be seen as vanity. The same goes with the Church. The same goes with our witness. We have one shot. The day of the Lord is coming, and the issue of stewardship will mean everything then. What we have done with those He has given us will be revealed as ultimate and crucial. This is a very thought-provoking article. While there is no way any one article, blog or large book, can fully disclose all relevant facts, this truly should cause us to think. I think everyone in ministry needs to consider the observations mentioned in this article. This article has implications for our understanding of Paul’s admonitions regarding the question of “should I marry,” appreciation of God’s grace, & the importance of ministering to those closest to us. Amen, brother. May the Lord be glorified in us, through and through. Thanks for commenting. In reading Tozer, you can’t help but desire the same pursuit of God. His description of the inner life in “The Pursuit of God” is profound yet simple. The chapter “The blessedness of possessing nothing” is the clearest description I have ever read regarding the life of the heart, mind and of The Holy Spirit. But despite the angelic language of pressing hard into the secret place, he like us was a man. Your reflection on supervision and parenting is something I face quite often. I snuggle up with a good book, a big cup of coffee in a quite place and my 8 year old daughter says “Dad, will you play Scrabble with me”. It is said that we can spend so much time enamored with deep thoughts yet we won’t put a book down to do what we are called to do. Playing scrabble can be a sacred ground experience. My greatest desire is that I have something to impart to my kids through The Holy Spirit that will be a well of water springing up within them. Good word, GW. Thanks for sharing. We find here too, as highlighted again four years later on the VOR, Bryan’s mention of the vitality of the secret place. With the spirit opposing this world’s values against the Messiah, the power of the air and plans and service commitments being overheard and responded by the enemies of the Messiah at work in the confusion of this world, the secret place becomes paramount to the walk we must maintain with the Ruach Ha Kodesh, the Holy Spirit sent by the Father and Son oattesting that it is He who has Come. We maintain being His witnesses by that reinforced in the secret place. If we hold one agenda, above all others formed in His Name, let it be to meet daily with Him in that place.
. I wish so much I could remember the conversation.